Airport authority of India recruitment for diploma, degree and ITI Apprentices posts in various airports all over India. Airport apprenticeships program 2019 to recruit fresher candidates who are willing to work in various airports all over India under AAI. Applicants who are willing to apply for this AAI Recruitment program have to apply offline only. There is no ONLINE platform for applying these airport jobs in India 2019. 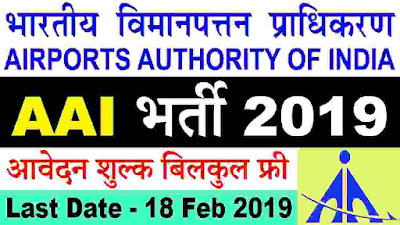 AAI Recruitment Department is looking to fill up 264 total vacancies through this Airport Authority of India Recruitment 2019. There will be a qualifying examination for the selection of the candidates for this Airport Apprenticeship program 2019. More information related to these Government jobs in India under this AAI Recruitment process is given below in this article. Read the whole article carefully before applying for these airport jobs in India. 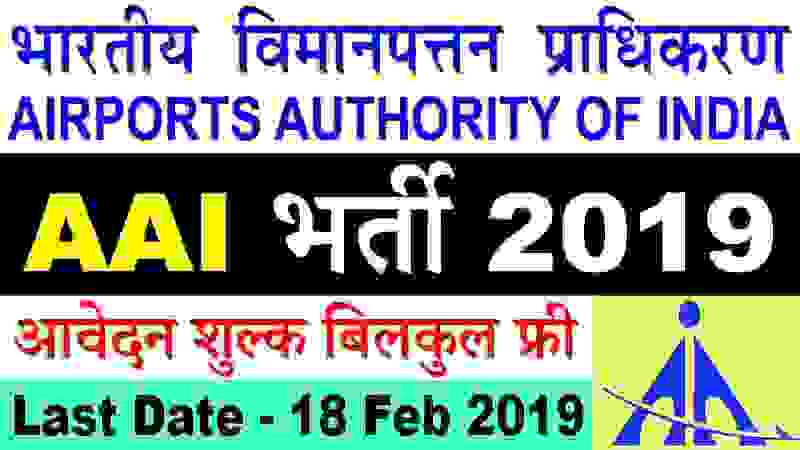 Candidates having BE/B.Tech , LAW, B.Com Degree can apply for this Job profile under this Airport Authority of India Recruitment 2019. Must have applicants age in between 18 years to 24 years for applying these job profiles. Those who have a diploma in various trades can apply for this job profile under this AAI Recruitment process 2019. ITI certificate in various trades for applying this Airport Apprenticeship program 2019. Qualified and concerned applicants related to this AAI Recruitment process 2019 need not to pay any type of application fee. That means anyone can apply with ZERO application fee. Candidates have to apply offline for this AAI Recruitment process 2019. Application form related to this Airport Apprenticeship program is attached with the official Advertisement whose link we share below under IMPORTANT LINK section.